Wall Street is looking to shake off yesterday’s losses, with Dow futures up 42 points ahead of the open and the S&P 500 and Nasdaq up 0.2%. The Fed this afternoon is set to release minutes from its latest meeting, when it left interest rates unchanged and abandoned all plans for future hikes this year. In Asia, Japan -0.5%. Hong Kong -0.1%. China +0.1%. India -0.9%. In Europe, at midday, London +0.1%. Paris +0.4%. Frankfurt +0.4%. Futures at 6:20, Dow +0.2%. S&P +0.2%. Nasdaq +0.2%. Crude +0.7% to $64.44. Gold -0.1%to $1307.70. Bitcoin +0.7% to $5229. 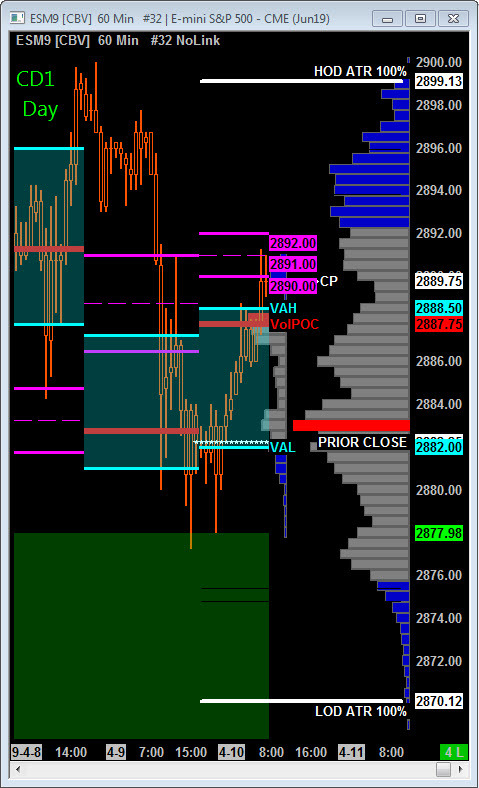 Scenario 1: IF Bulls hold bid above 2882.25, THEN initial upside targets 2890 – 2892 3 Day Central Pivot Zone. Scenario 2: IF Bears hold offer below 2882.25, THEN initial downside targets 2876.50 – 2873.50 Average Violation Decline Zone. 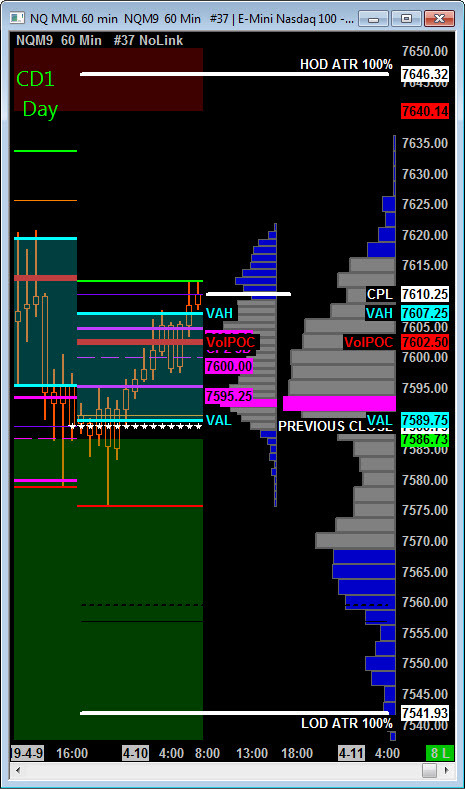 Scenario 1: IF Bulls hold bid above 7588.75, THEN initial upside targets 7605 – 7613 zone. Scenario 2: IF Bears hold offer below 7588.75, THEN initial downside targets 7567 – 7557.50 Violation Range Zone.